As the average transaction price on new cars moved higher and higher last year, more new car buyers opted to lease instead of purchase, according to automotive site Edmunds.com. 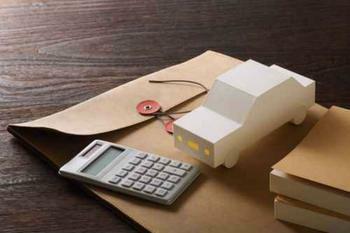 Edmunds reports consumers leased 4.3 million vehicles, accounting for 31% of all new vehicle transactions last year. That's up 29% from 2015 and is nearly double the lease volume from five years ago. It's not hard to figure out why. With low gasoline prices, sales of trucks and SUVs have surged. The sticker prices on these vehicles are much higher than the small and midsize sedans that were more popular during the days of $3.50 a gallon for gas. Edmunds says the average lease payment was $120 less than the average finance payment last year. But that's just average. In some cases, the difference can be more pronounced. Using TrueCar.com's pricing app, a fully loaded Chevrolet Suburban, GM's popular SUV, costs around $67,000. To buy it, you would be looking at a down payment of $6,700 while you could lease it for around $2,000 down, with a monthly payment of about $100 less than a purchase. So consumers are choosing to lease very expensive vehicles they might actually not be able to afford. Also, Edmunds points out that lease terms have remained at a fairly constant average of 36 months over the past five years, while the average purchase finance term is continuing to creep upward, averaging 69 months in 2016. "Leasing has long been the gateway for car shoppers who are looking to get a nicer vehicle than they could if they financed," said Jessica Caldwell, Edmunds executive director of industry analysis. "Because SUVs and trucks are holding their values so well right now, it makes them much more accessible for a much wider swath of the market, further fueling their popularity." Millennials are more likely to lease a vehicle than other age groups, even though in terms of sheer numbers they only make up about 12% of leased vehicles. Nearly a third of all Millennials who took delivery of a new vehicle in 2016 chose to lease, a jump from 21% five years ago.